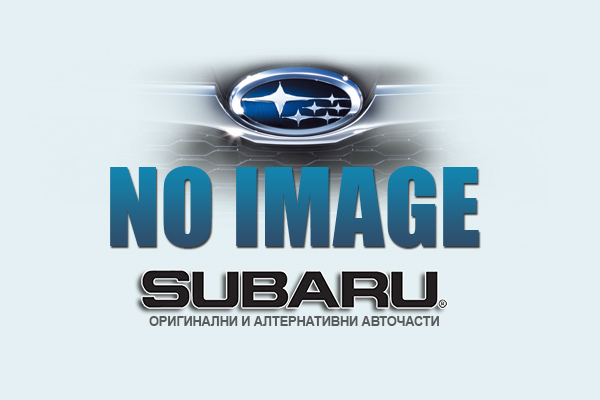 If you are interested in more information and details about the product and its use send us your questions and Subaru Parts team will assist you in the shortest possible time. Proper care and use of appropriate products for certain purposes will have a large and positive impact not use products that are not safe and without having consulted with specialists in this field. Once you find your product on the site go to Details and select the desired units. By pressing the button "Add" product will automatically add to the bag. You can continue the search for other products in our website and add them to the bag to purchase. If you have finished the order and you are ready to send press " your bag " which will show you the contents of the items in your bag where you can change the quantity and remove unwanted merchandise. To send a request fill in the data , choose payment method and press " Call". Submitted your personal data will be used to maintain personal contact to deliver goods on the spot to fill in the various official documents - offers, orders , invoices , etc. . , And official correspondence. They will be provided in any form to other individuals and organizations. If you wish to receive a tax invoice , please fill in the required invoice data registration location information . The invoice will be made after the occurrence of the chargeable event (payment or transfer of ownership of goods) under VAT . Internet Subaru Parts store is operated by Subaru Parts . That is the official registration of personal data under the Data Protection in Bulgaria. All applications are reviewed by an administrator and confirmed by phone or e -mail, provided by you in preparing the application. Anecdotal evidence and invalid requests (no data or incorrect ) are removed from the system as Kamko no responsibility for their treatment. Data such requests , and technical information such as IP address, where they made ​​and others. are archived and can be provided to police , control and / or investigating authority in accordance with the Bulgarian legislation. Your card at the online store is where gather your selected goods. You browse the available products and when you decide to buy any of them, just put it in your cart . You can then continue viewing or go to checkout. If you have completed your order and are ready to send your card natisknete button , which will display the contents of the selected products to date . There you can change the quantity and remove unwanted merchandise. When selecting your key card will also see a form where you need to fill in their data. So order and your data will be sent to us and we can process your order.